More than 10 years of development experience with projects of different caliber. 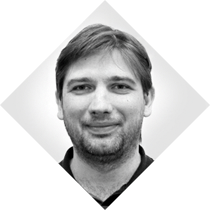 For the last 3 years Alexey has been working as a software engineer and consultant in ECG Department, Magento. He is an author of "Quick Start to Magento Customization" video course. Also he’s been consulting different Magento solution partners on architectural questions including integrations Magento with different systems such as ERP, CRM, IdP systems.